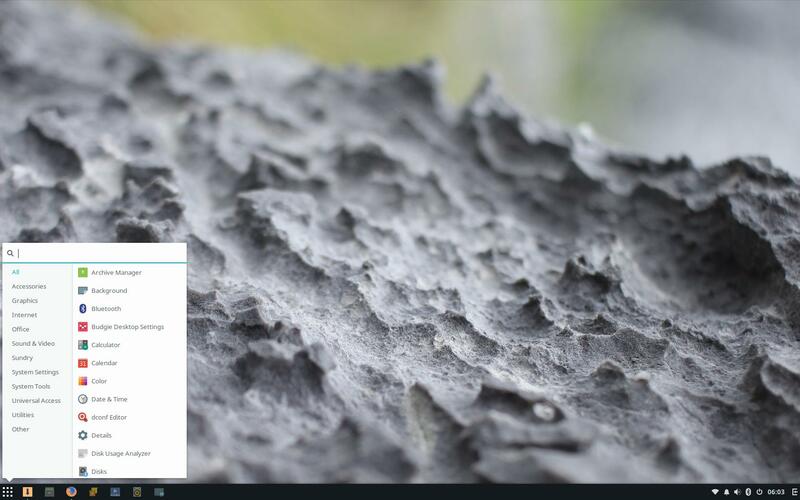 Solus OS – The new version of Solus OS 3 has been released a while ago. I just got time to install and try it on a real machine. I installed Solus OS 3 Budgie edition on my DELL Inspiron 5000 laptop series. I installed it via Live USB created using Etcher software. Its very comfortable using this distribution on my laptop. 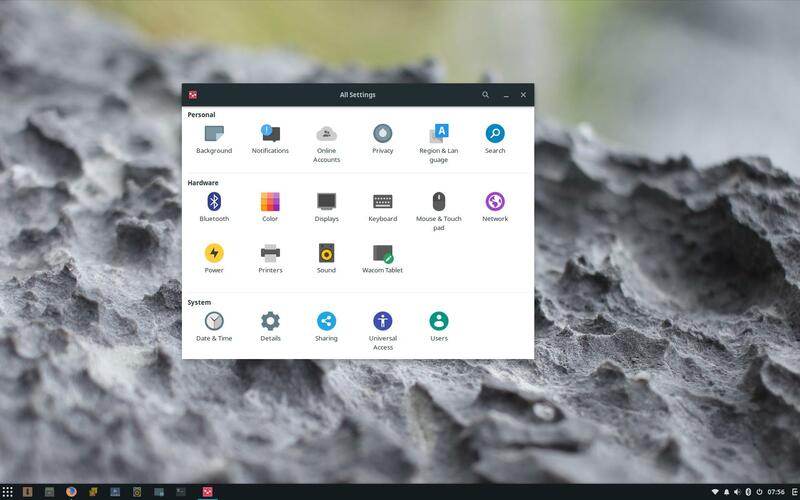 Even Solus OS is a new Linux distribution, it has a good development progress and getting its popularity among Linux users. 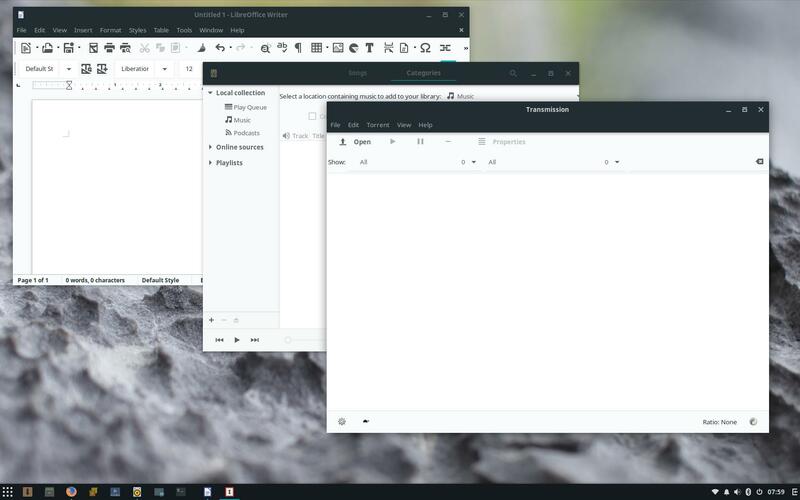 Solus OS 3 is available in three flavors with 3 different desktop environment, Budgie, MATE and GNOME. 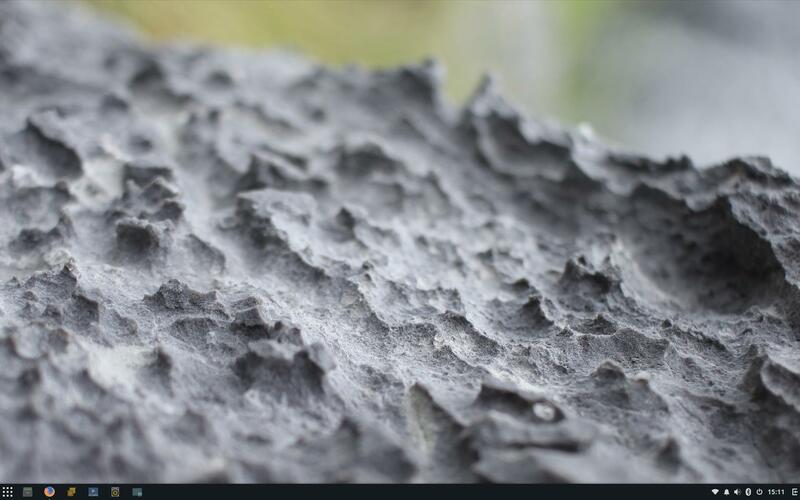 I have written a short review of Solus OS 3 GNOME edition if you want to have a look. Solus OS 3 Budgie edition comes with the latest Budgie Desktop version 10.4. It features a new traditional menu bar which is very comfortable to use. In both Live mode or after a fresh install, you will see the following clean Desktop. This is the one that make me fall in love with Solus OS 3 Budgie edition. The Application menu is simple, clean and easy to access. Its a traditional style menu but for me and maybe for most people will like it. Solus OS 3 Budgie edition has the same system setting as Gnome. Its an integrated system settings where you can find any settings for the entire system such as background, display, user management and many more. There are many default applications you can find on Solus 3 Budgie. Libreoffice 5, Rhytmbox audio player, video player, Mozilla Firefox and some others. 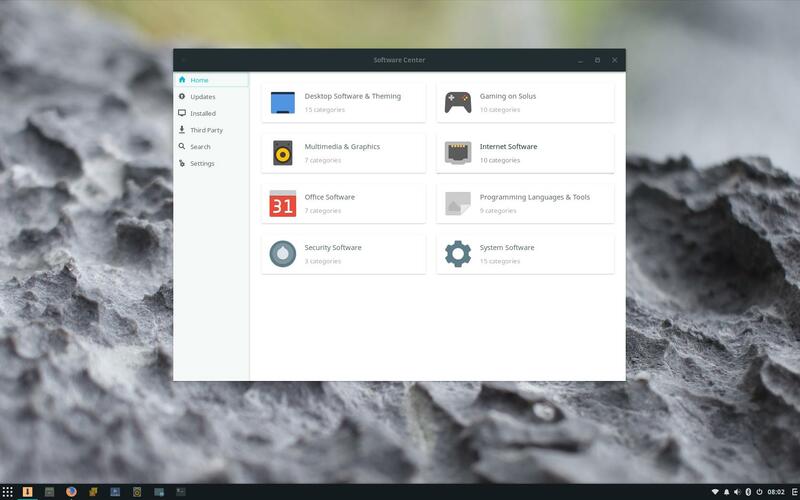 The built in software center makes us easier to install or uninstall applications under Solus OS 3. I like this Software Center with minimalist design and pretty responsive. We can set the update interval and install some third party software such as Google Chrome, Flash Player, Android Studio and many more. I have a little issue with the Software Center. When I tried to install something, the Software Center frozen for some times. Its pretty annoying because the automatic updating process. I recommend to disable the auto update feature on the Software Center.